On May 30 is National Potato Day in Peru and the country celebrates the important tuber in all its splendid variety with numerous festivities. 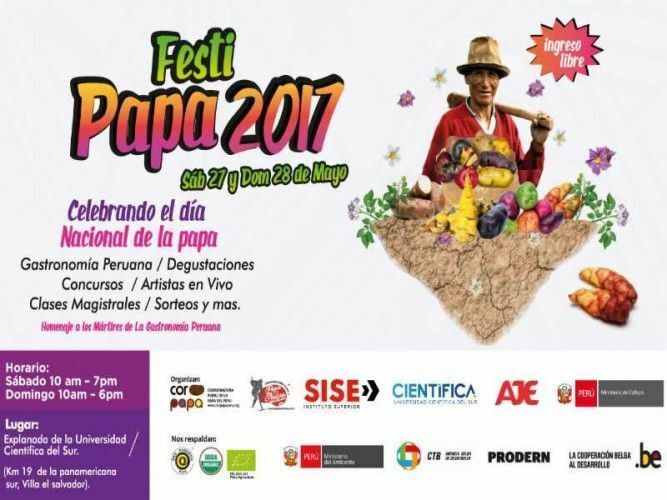 One of the bigger festivals in Lima is FestiPapa. The festival intends to promote the immense diversity of the potato while at the same time offering small producers, which primarily grow the tuber in Peru, a platform to introduce the wide variety and usage of the potato to consumers. The two-day gastronomic festival includes lots of great Peruvian food, potato tastings, a potato-based food and beverage contests, cooking classes with well-known chefs, a small native potato market, Peruvian music and dances as well as other live shows.